Each of our artificial fruits gives a realistic feel when held in your hand. This premium faux onion is now available on Amazing Produce. Our original looking premium onion sprays appear to be real. Here on our website, you will get onion sprays that look very authentic. As a result, these beautiful onion sprays are perfect decoration in your kitchen. 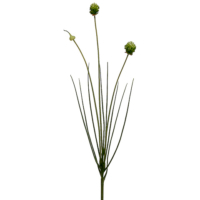 In fact, our artificial onion spray can be used for a variety of decorating purposes. This high quality fake onion spray can be to decorate kitchens. Amazing Produce onion sprays are very realistic looking. Surely, if you need wholesale artificial fruit and wholesale artificial vegetables, Amazing Produce is your best choice, as we have a wide collection of fake onions depending on your decoration needs.